His resignation comes after a video went viral that shows he ignored a woman asking for help as a man harassed her. 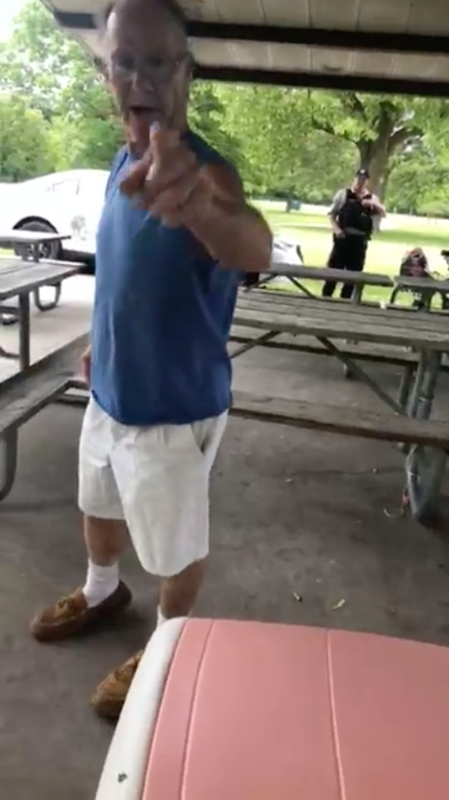 An Illinois police officer resigned Wednesday after a live video showed him ignoring a woman asking for help while a man yelled in her face about her Puerto Rico shirt. 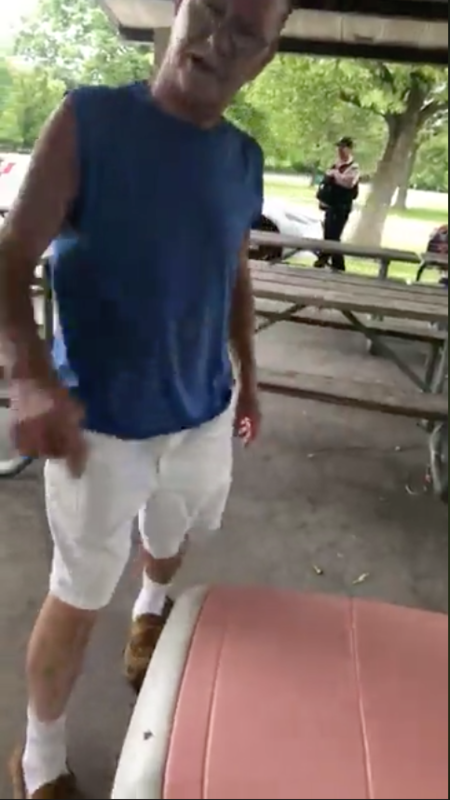 In the video, 24-year-old Mia Irizarry is setting up on picnic tables in a Chicago park for a birthday party when a man starts to berate her for wearing a Puerto Rico shirt. "You should not be wearing that in the United States of America," the man says about her shirt. "Are you a citizen? Are you a United States citizen?" Irizarry points out that Puerto Rico is, of course, a commonwealth territory of the United States, which means that all its residents are US citizens. She asks the man to leave her alone and then asks nearby Cook County Forest Preserves Officer Patrick Connor for help. Connor is seen in the background observing, but ignoring the woman's plea. The video was posted in June when the incident happened, but recently started getting more attention — it now has more than 1.5 million views on Facebook, prompting prominent activists and politicians to respond. Even Puerto Rico's governor reacted, saying he was "appalled, shocked, and disturbed by the officer’s behavior." On Wednesday, the official Twitter account for Forest Preserves of Cook County said that Connor "no longer serves in the police department of the Forest Preserves of Cook County." "He resigned late today. But that isn’t where our work ends," the statement said. "We are further addressing aspects of this incident and more information will be shared here and with the media tomorrow." On Monday, the Forest Preserves of Cook County said, "the intoxicated individual involved in the incident was arrested and charged with assault and disorderly conduct." "All people are welcome in the Forest Preserves of Cook County and no one should feel unsafe while visiting our preserves," officials added.